Darius is the Founder and Lead Technology Engineer of Alpha 3 Technologies, LLC. In this dual role, Darius provides strategic direction and vision, including all aspects of corporate budgeting and financials, internal controls, compliance and policy development. In addition, providing leadership with respect to company growth, strategy, innovation, technology mastery, and development of effective relationships is the core of Darius’ responsibilities. With over 10 years of Information Technology (IT) engineering and administration experience, Darius is passionate about working with customers to design process improvements and apply appropriate technologies that solve their most challenging problems. Motivated to consistently deliver high quality, innovative products and services, Darius, researches and develops strategies to advance Alpha 3 Technologies mission of delivering quality solutions that exceed client expectations. 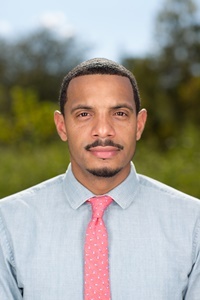 Darius is a graduate of Hampton University and has earned several industry certifications, including the Microsoft Certified Systems Engineer (MCSE) and the Cisco Certified Network Associate (CCNA). Darius is also actively involved in mentoring young African American men, either as a volunteer Prince Georges County Boys & Girls Club (PGCBGC) county basketball coach or through the many initiatives of his beloved fraternity, Alpha Phi Alpha Fraternity, Inc.
© 2018 Alpha 3 Technologies, LLC | All Rights Reserved.